Families in Regent Park will soon have a dance studio, an employment centre and rooftop gardening at a brand new community centre set to open Saturday. 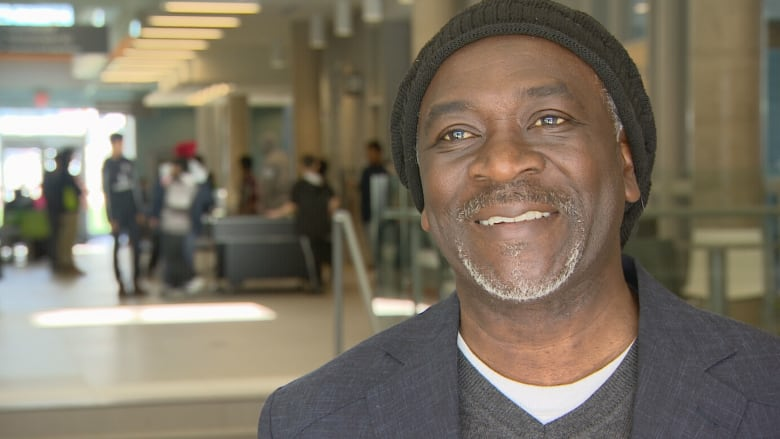 Grand opening of the new Regent Park Community Centre will feature ribbon-cutting ceremony at 3 p.m.
"I think it's fantastic to see the city of Toronto respond to the local residents' need and this building is a full demonstration of that. Young people and adults here have an opportunity athletically and recreationally," recreation manager Lucky Boothe told CBC News. The city will celebrate the grand opening of the new Regent Park Community Centre with tours of the facility, performances by local entertainers and a ribbon-cutting ceremony Saturday afternoon at 3 p.m. The 59,000 square-foot centre — part of the Regent Park revitalization effort, which began in 2005 — replaces the area's north and south community centres and features pottery classes for adults, fitness and dance facilities, outdoor baking ovens as well as a climbing wall. It's also physically connected to the Nelson Mandela Park Public School. "We've intentionally built two connected links on the north end of the building and south end of the building. So that kids don't have to go outside to enter the facility," said Boothe. Boothe says the new centre will mean more and better feedback for future planning as residents begin using the facilities. "We will have to be prepared for how we're going to expand our services to the cry of the community's need."